Maximize your living room space with the Cabrini 2.2 TV Panel. With a built-in TV mount to easily hang your TV without damaging the walls, the Cabrini 2.2 TV Panel is lightweight and compact, and will help minimize clutter. The 2 overhead LED lights creates a cozy and homey atmosphere in your living room. 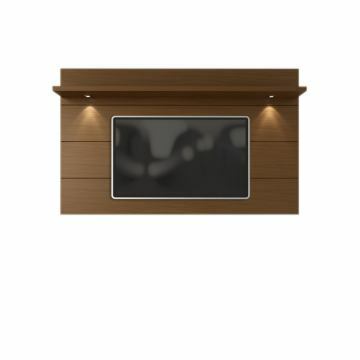 Pair it with our Cabrini TV Stand to create a complete home theater.